I was drawn to the University of Virginia for my undergraduate education. The campus is a magical place steeped in history and tradition. When I came to UVA, I was convinced I was going to be a doctor, and as I was taking my first course in chemistry I realized that I was going to have to slog and push myself through my prerequisites for medical school. Simultaneously, I happened to enroll in principles of microeconomics with 550 other undergraduates and the class made my heart sing! I decided I need to dive into economics further. My game theory and experimental economics classes convinced me to make the study of economics my future. Strategy, games, choices, and decisions came alive in the economics laboratory, and I simply had to find a way to get to graduate school to study further. With the guidance of my advisor, I applied to experimental graduate programs and received an amazing offer from the University of Pittsburgh where the real work in economics began. Playing economics games with handheld devices out on the famous UVA lawn with my experimental economics class (that’s me on the very far right in the red and my advisor/professor right next to me). This was a big deal since it was WAY before iPads! After two to three years of the basic course work (basic is a misnomer since it was scary hard), I started my research in experiments. My dissertation was based around two experiments I designed to test efficiency in public good giving. It was such a thrill to conduct every aspect of the experiment and see it take shape from just an idea to the design then the programming, the recruiting of subjects, the running of the experiment in the laboratory, and the analysis afterward. 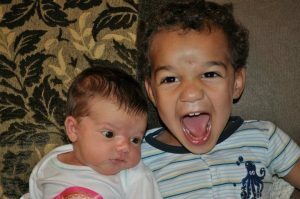 The day I defended my dissertation was almost as exciting as the days I welcomed my children into the world! You’ll notice the narrative of my work history exactly coincides with the development of my family. My first professor job was at Allegheny College in Meadville, PA where I was blessed with amazing students who loved economics as well as game theory and experiments. At the end of my very first week of work, our first foster child came to live with us, a little boy named Braden who we had the privilege of later adopting. Concurrently, my husband was in his family medicine residency, and when he graduated, he would begin active duty with the Air Force due to the terms of his medical school scholarship. After two years of working at Allegheny, my husband was given orders to Dyess Air Force Base in Abilene, TX, which we had to look up on a map! God went before us to provide a community of support including an amazing church and friends. 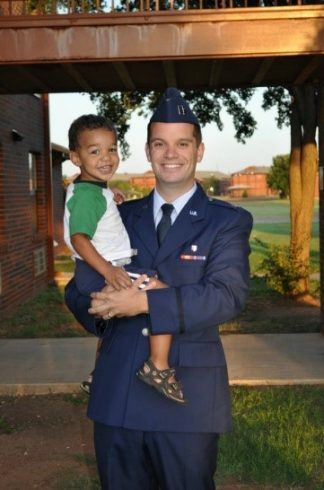 Dr. Matthew Wick, then a captain in the USAF on his first day of active duty service at Dyess with our 2-year-old son Braden. 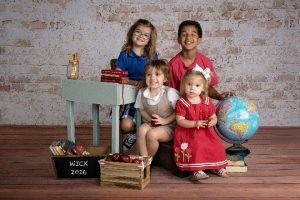 I was 30+ weeks with our second child when we moved to Abilene, and I took two years off from teaching to be with our small kids. I missed being with students and teaching, and I reached out to the academic community in town. 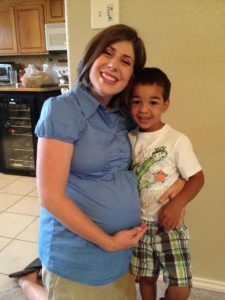 I started teaching part-time at McMurry in the fall of 2012 when I was 36 weeks pregnant with our 3rd child! I had missed the excitement of the first day of school in those two years away. That was a busy semester! The first day back to school in 2012! 36 weeks pregnant with #3. My bosses for two years “off”. I taught part-time at McMurry for one year and full-time for three years. We loved living in Abilene. After my husband’s active duty commitment was over, we decided to stay and put down permanent roots here, and we had one more kid too! My main teaching focus at ACU is the principles of economics courses (macro and micro) and equipping our COBA students for their upper level business classes. This spring I will be teaching one of my favorite classes on game theory which studies choices in strategic settings. We also play a good deal of games which makes it a very fun and memorable class. I also hope to add other economics topics classes in the future. The mentoring process is my favorite part of teaching. I love getting to know about student’s uniqueness and helping them learn material in a way that makes sense to them. I went to a large university where having a mentor relationship with your professor was very difficult if not close to impossible in some cases. It became paramount that my students have a different experience than I did, one where they were known. In addition, I LOVE school, have always loved school, so it’s exciting that I always get to be in school! 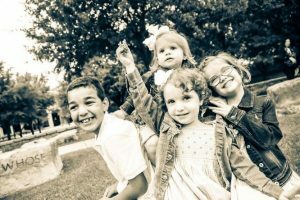 I love that I get to be a small part of this transformational time in their lives. College is a shaping experience academically, socially, emotionally, and spiritually. It is a great privilege to be able to encourage them on this journey. In addition, students make me laugh, and they help to keep me relevant. When I’m not teaching, I’m usually at home or out and about with my “tribe.” They are my biggest hobby and my greatest joy in life. Currently, my kids are 2, 4, 6, and 8 years old so they are still at an age where they require attention which is both great and hard. Other than my tribe, I love to spend time with my friends, exercise, read, and I am very involved in my church community. I have a huge passion for the foster and adoptive community, and we hope to open our home again to children in the future. While I was still a student in my doctoral program, I taught a section of Intermediate Microeconomics in the summer when I was 24 years old. I remember walking into the classroom, very nervous, and one of the students asking me about the professor and if this was known to be a hard class. I giggled on the inside. I guess they thought that I was taking the class and not teaching it! Up to this point, I don’t think anything has topped the feeling of the accomplishment of my dissertation. Conducting every aspect of those experiments and single authoring the papers created an incredible sense of triumph. Most Thursday mornings I work in my church’s food pantry where we provide groceries and household goods to approximately 25 families that day. These families and the others working the food pantry bless my life in tremendous ways. I also lead a life group and counsel couples in the premarital journey with my husband. My parents! My father worked tirelessly to provide for us as well as let us know we were always loved. He was also an incredibly successful surgeon bringing healing to thousands of patients and teaching hundreds of budding doctors. My mom was the rock upon which our whole family stood, and she is our earthly guide in this life. 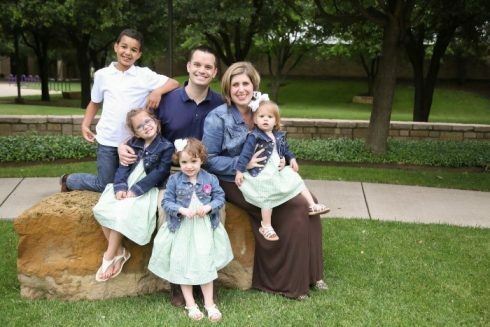 She also led each of her children to know and love the Lord. There are many, and I could pick inspirational teachers/professors for different phases of my life. Childhood – my mom, Helen Johnson, who encouraged me to love learning and see it as a constant adventure at a young age. Middle/High School – Dr. Tracy Inman who taught me an intensive three-week summer course in humanities studying different perspectives of the afterlife at my favorite summer camp (lovingly dubbed nerd camp by my friends and family). Her guidance helped challenge my critical thinking skills and nourish my individual ideas. College – Dr. Charles Holt who opened my eyes to the world of game theory and experimental economics. At the time, I didn’t know he was such a leader in this field and that working in his laboratory would put me way ahead in skills for graduate school. I was so blessed by his leadership and guidance. 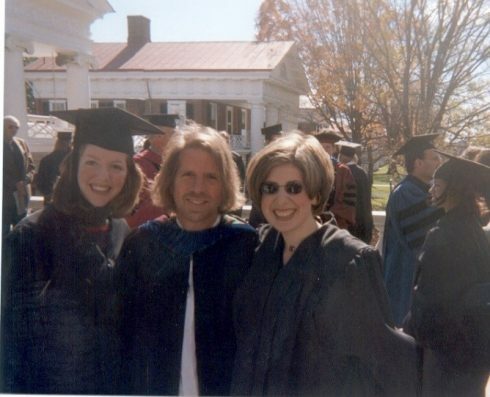 At UVA’s Intermediate Honors (I’m on the far right) with Dr. Charles Holt in the center. We all call him Charlie. Flying! Oh, how freeing it would be! Plus, you could see the world from a different perspective and travel places quickly. My husband and I were dating for less than 10 months when we got married! We are coming up on our 11th anniversary this Christmas. 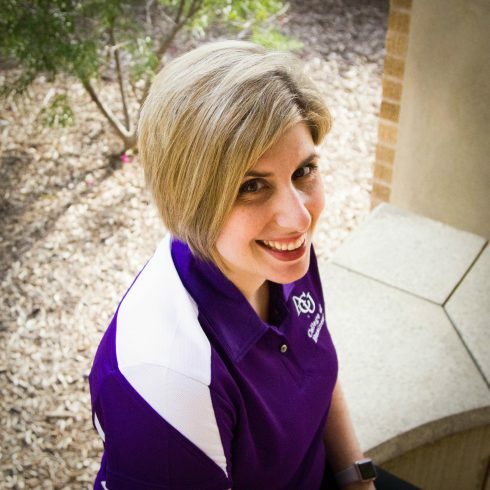 When I was in graduate school, I longed to teach at a university just like ACU. Working here is a blessing, and teaching, mentoring, and working with students is my professional dream-come-true. I am honored to share in the mission of ACU.